Norristown, PA, October 1, 2018–High Swartz is pleased to announce that Kevin Cornish has become a partner effective October 1st. “We are pleased to welcome Kevin as High Swartz’s newest partner. Kevin has been with the firm for over 5 years and has shown great leadership and experience in his practice areas,” said Joel D. Rosen, Managing Partner. “High Swartz has provided me with opportunities to grow and develop as an attorney. I am grateful to High Swartz and look forward to serving my clients in this new role,” said Kevin Cornish. Kevin focuses his practice on commercial, civil, and contract & business litigation. His clients include individuals as well as local, regional, and national businesses. Kevin has handled cases involving contract disputes, the Mechanic’s Lien Law, the Contractor Subcontractor Payment Act, the Unfair Trade Practices and Consumer Protection Law, the Fair Debt Collection Practices Act, the Real Estate Seller Disclosure Law, and the Landlord Tenant Act. 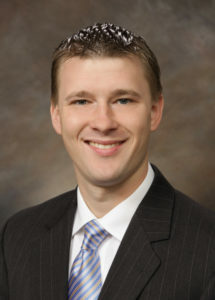 Kevin’s experience includes resolving cases through trial, arbitration, and negotiation.